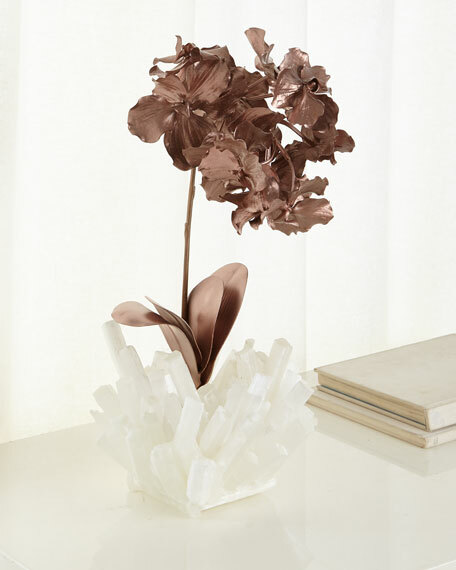 This Vanda orchid is hand-finished in a rich rose gold and held in a natural selenite vase. 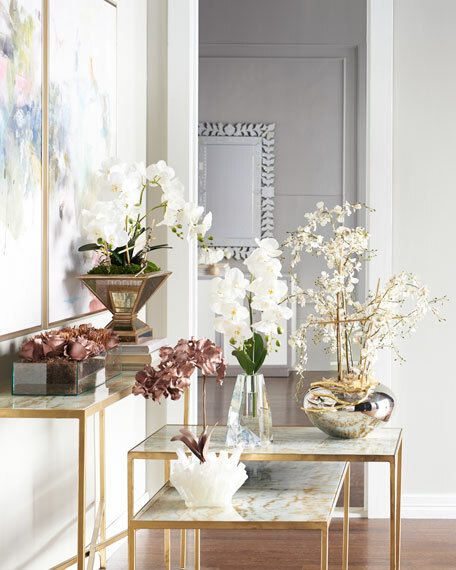 This arrangement presents a modern yet trendy floral design for the home. Selenite is natural mineral that has a soft characteristic. 11"W x 10"D x 20"T.